Back to Back to Back Storms! NOAA has issued a Winter Storm Watch has for today and tomorrow that is calling for 6-18″ of snowfall. The 2nd storm will move in around Thursday night bringing similar amounts of snowfall. The 3rd storm moves in Friday night into Saturday and could bring 3-6 inches to the bases, and up to a foot to the mountain. 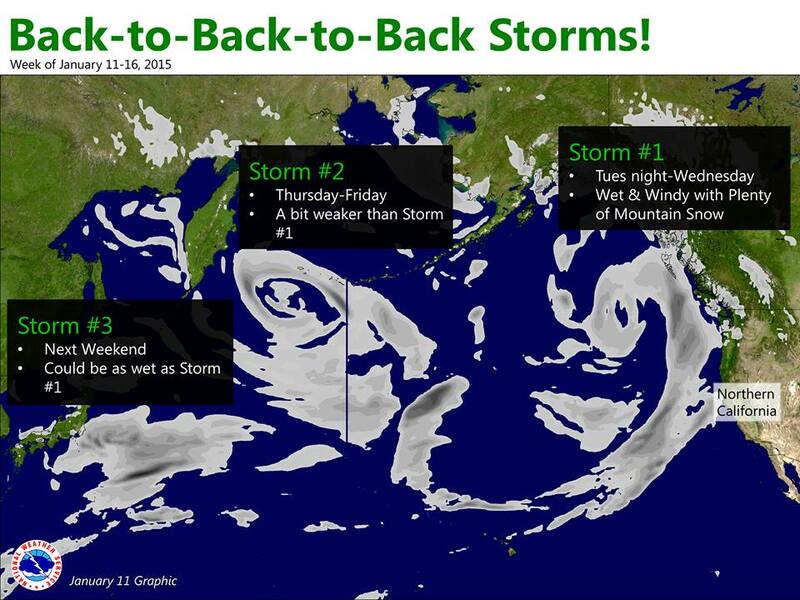 The active pattern looks to continue through week 2 with continued storms every couple of days. California has been going off this year. Especially compared to the last 4 years. 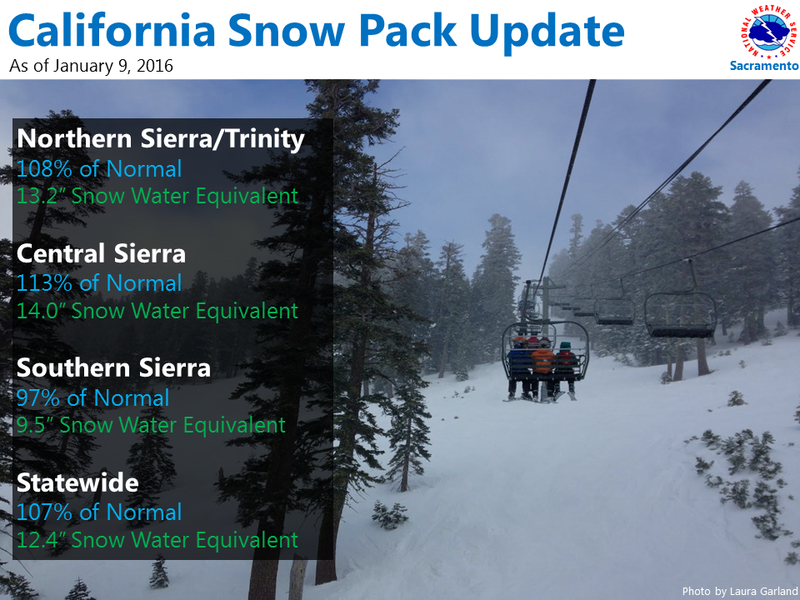 Snowpack averages in California are around 107% of average right now.